FOUR NEW SHIRTS FOR MAY THE FOURTH! Four brand-new Designer T-Shirts have been added to the Star Wars X Super7 Collection, and will be available at the MAY THE FOURTH BE WITH YOU event! 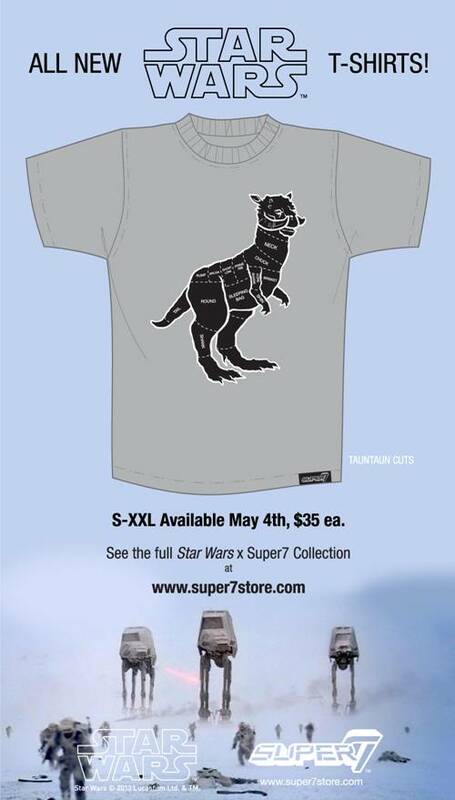 Each is designed and exclusively retailed by Super7, under authorization from our friends at Lucasfilm. 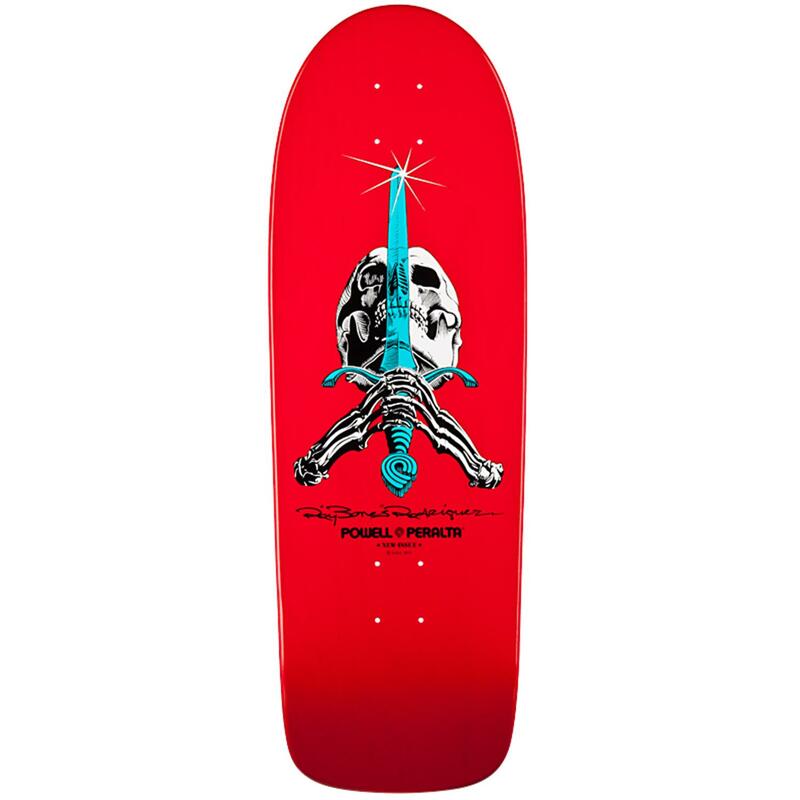 DARTH VADER 80s skateboard style! A STAR WARS version of this iconic image. I have you now! Stylish vector rendering of DARTH VADER’s targeting computer, as shown during the trench battle of A NEW HOPE. Inspired by butcher charts, this identifies the sweet meats (and cozy portions) of the Tauntaun. This shirt features the “original 21” STAR WARS action figures released by Kenner in the 1970s and arranges them in an artistic “rorscach” pattern. Can you name ‘em all? Which ones did you have? Black shirt with silver ink. 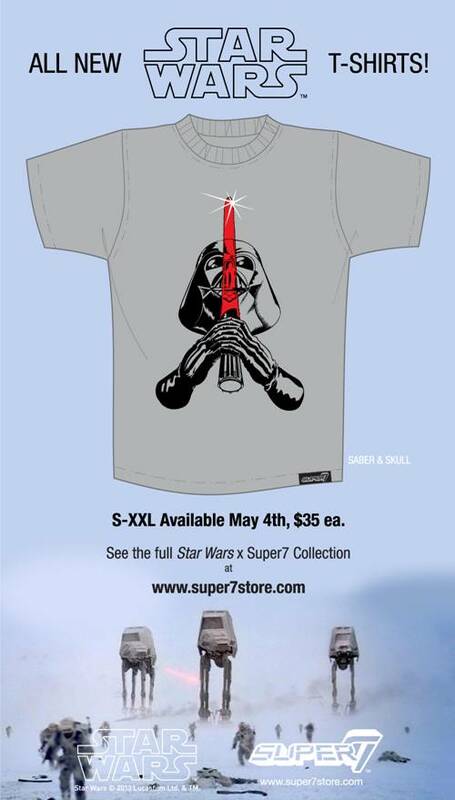 All four Star Wars x Super7 Designer T-Shirts are hand-screened on high-quality 100% cotton shirts, available in men’s sizes Small to 2X-Large. 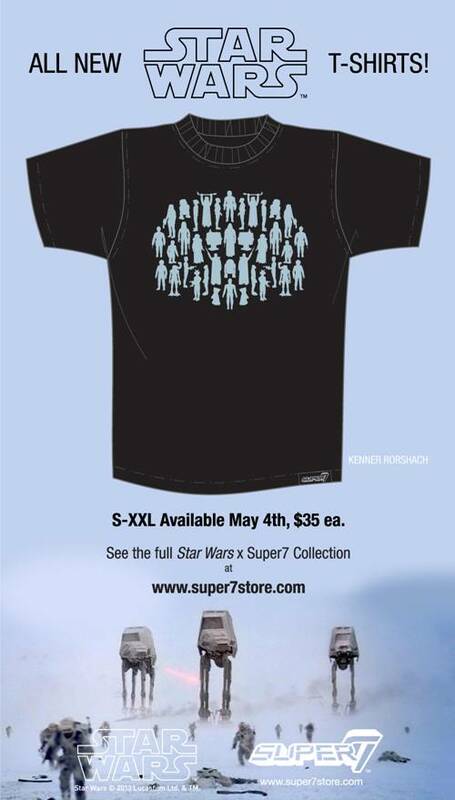 Each Designer T-Shirt retails for $35, and the full section of Ten different SWxS7 shirts can be ordered online at www.super7store.com beginning on MAY THE FOURTH! WIN A RARE BLUE SNAGGLETOOTH at our MAY THE 4TH BE WITH YOU event! New Website Means New Blog! SF Station x Super7 Star Wars Giveaway! Masters of the Universe M.U.S.C.L.E. Back in Stock! Super7 at New York Comic-Con 2015!